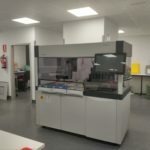 NGNY has recently installed an AQUA7000 device in the laboratory of the Hospital Ramón y Cajal in Madrid. This device has three optional dispositives: decapper (DKP), recapper (RKP) and aliquoting microplate system. The DKP and RKP modules speeds up all the laboratory workflows and minimizes biohazard risks. 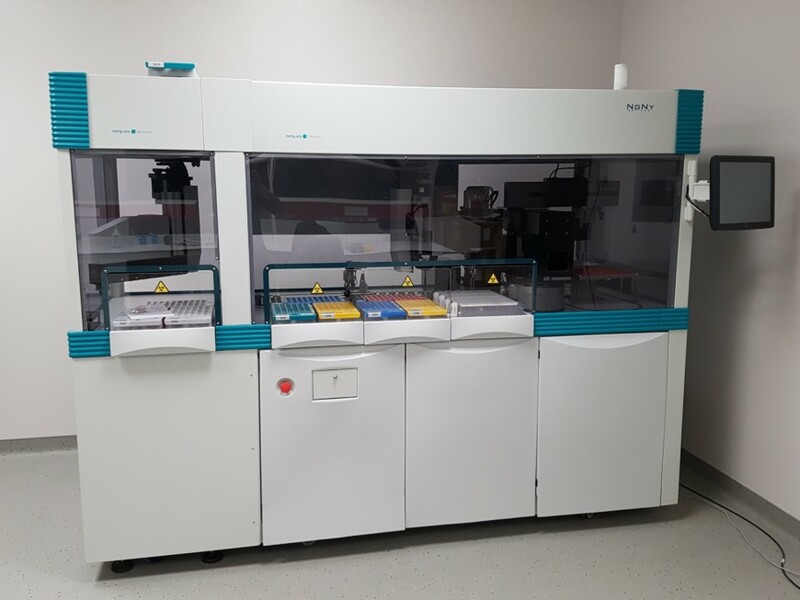 The microplate aliquoting system allows the creation of a serum bank, where the micro-samples are frozen for long storage. 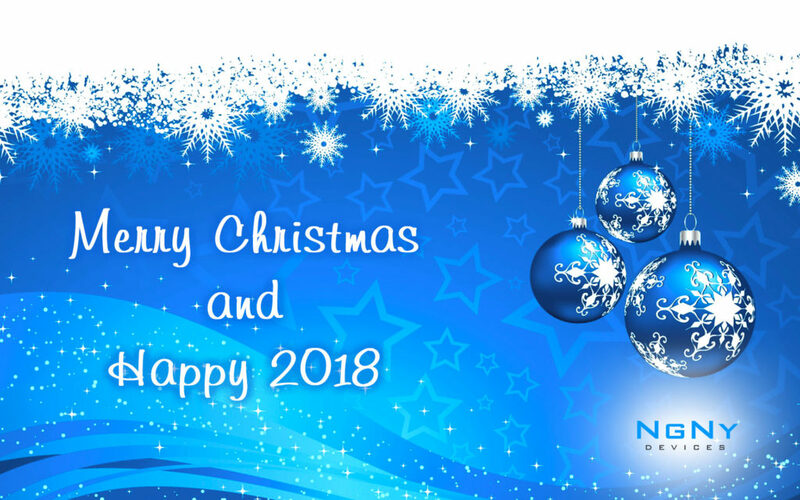 Comments Off on NGNY wishes you Merry Christmas! 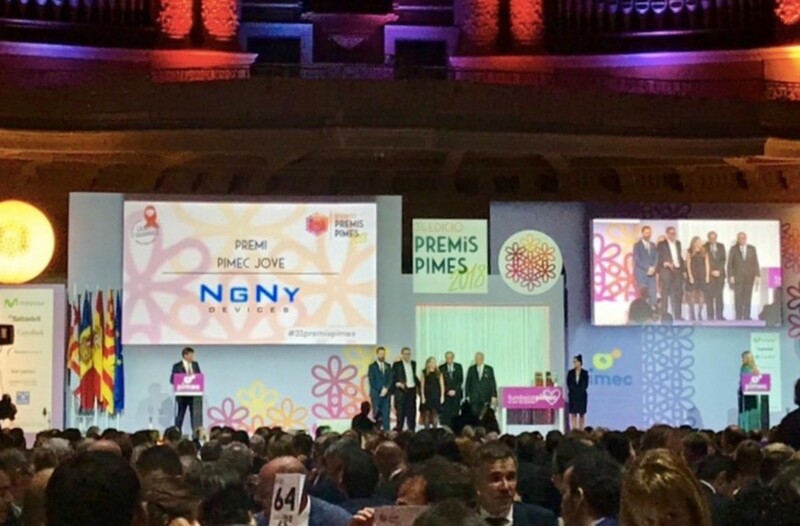 NGNY Devices has been the winner of the “PIMEC Joves” award for the best “young” business initiative in Catalonia, in the award ceremony of the 31st edition of “Premis Pimes” organized by the PIMEC management and which took place on the 10th of October. 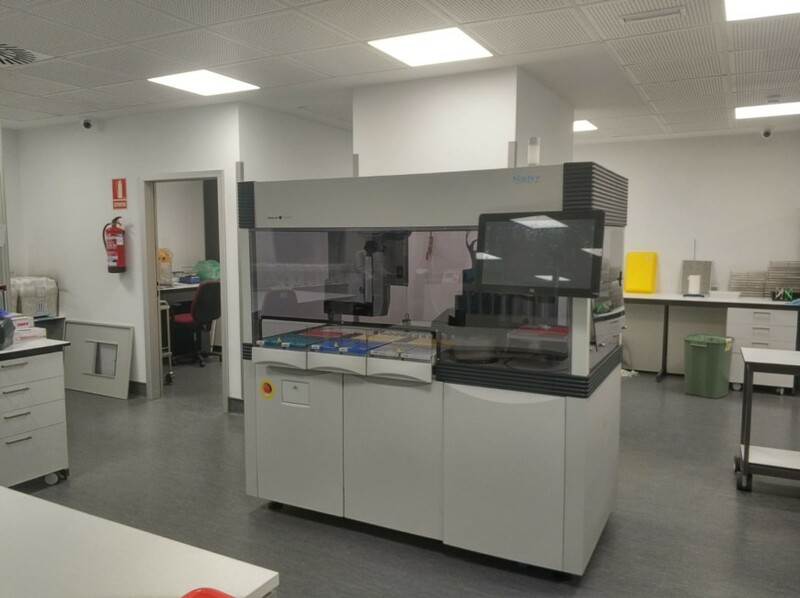 NGNY has installed the first of two AQUA8000 devices that will be installed in the laboratories of the Do Meixoeiro Hospital in Vigo. This device has two optional dispositives: decapper (DKP) and recapper (RKP). 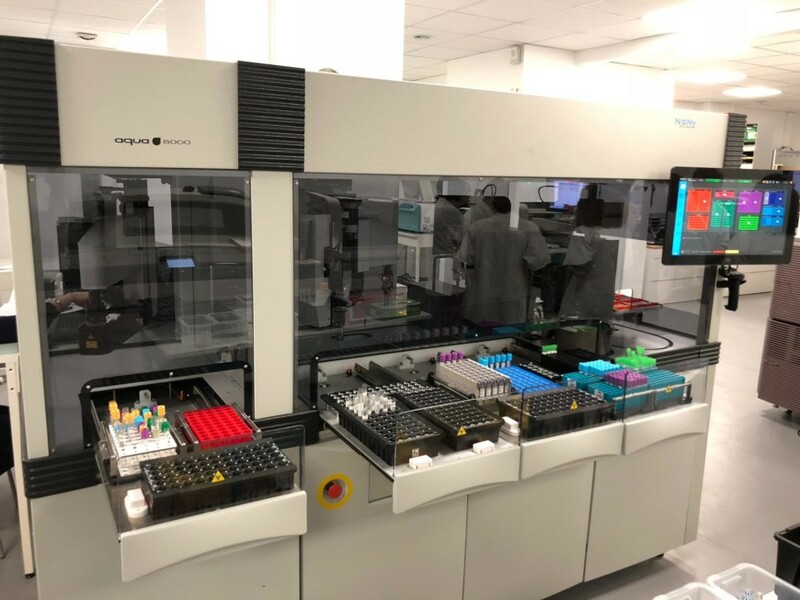 The C8000 module and the DKP module, that decaps the primary tubes, increases the samples’ entry speed, and also speeds up all the laboratory works. This is especially important in this hospital, because this laboratory has one of the longest automated chains in the country. The RKP dispositive caps again the aliquots, avoiding the manipulation of samples and minimizing risks in biosecurity. 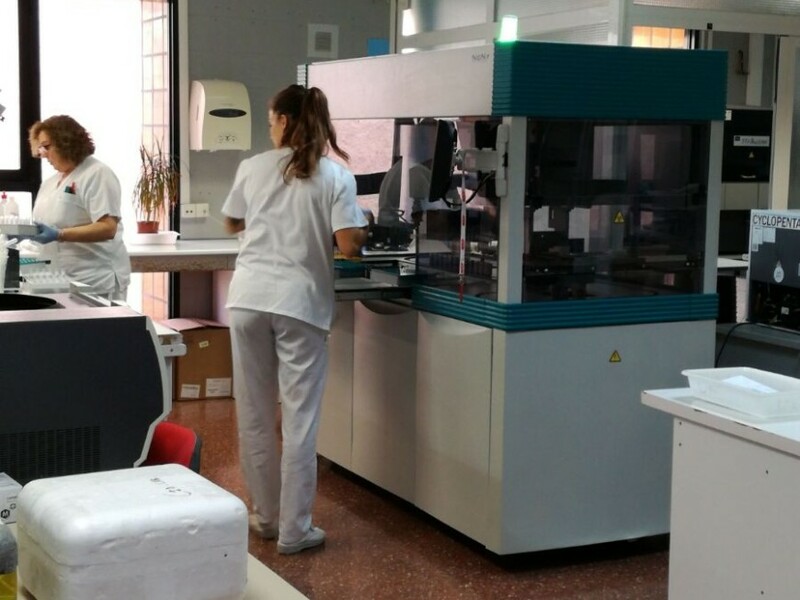 NGNY has recently installed an AQUA7000 device in the laboratory of the Hospital Vega Baja in Orihuela, province of Alicante. The AQUA7000 provides the automation of jobs that until now were totally manual, which allows its users to focus on tasks of greater added value. The precise aliquoter, which aliquots the sample tubes, minimizing manual pipetting errors. 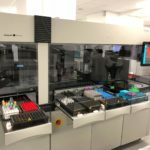 The sorter, which allows to automatically archive the processed and validated samples in real time, not at the end of the day as they were doing until now. 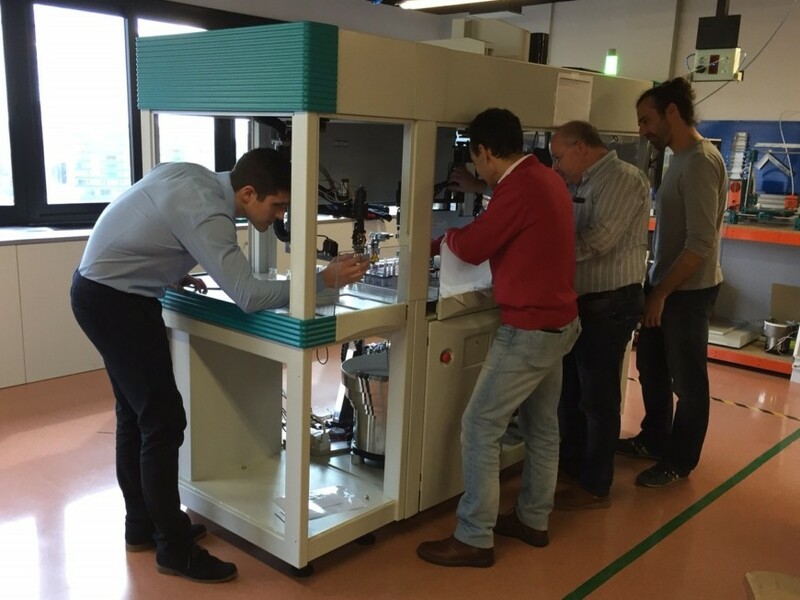 After the installation and configuration of the equipment and following the protocol of launch of the equipment, NGNY has made a training course for users, for the correct use and basic maintenance of the AQUA7000. The world forum for medicine MEDICA opens its doors on November 13 in Düsseldorf, Germany. During four days will be shown the latest developments in the different sectors present in this fair: electromedicine and medical technology, laboratory technology, diagnostics, physiotherapy/ orthopaedic technology, commodities and consumer goods, information and communication technology, medical services and editorial products. The MEDICA fair is held in parallel with the world’s largest fair for suppliers of medicine, the COMPAMED fair. 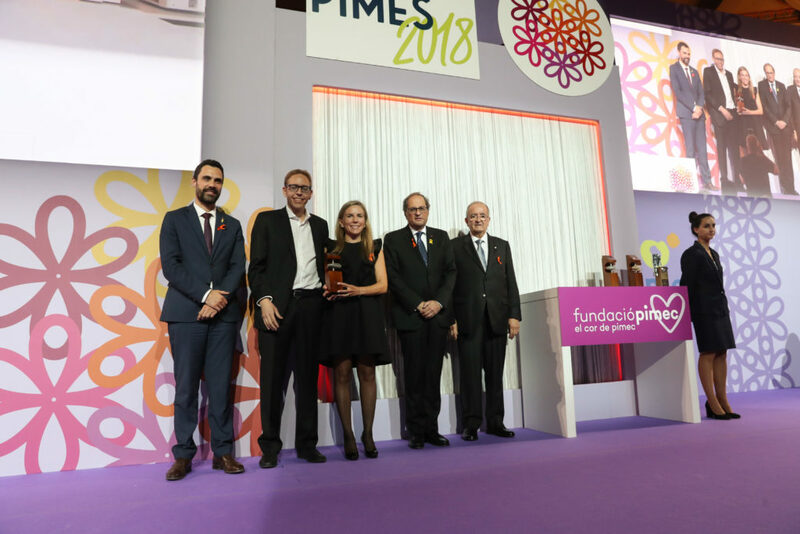 The International Chemistry Event EXPOQUIMIA, which takes place in Barcelona from 2 to 6 October, will bring together almost 400 exhibitors from leading companies in the chemical sector, that will show their latest products. This triennial salon has already 18 editions. EXPOQUIMIA is one of the eight events organized by Barcelona Industry Week, a commercial and knowledge platform focused on digital transformation of companies, new materials, applied chemistry and production methods the future. NGNY will take the opportunity to visit some of its suppliers. Training courses for AQUA system technicians. Comments Off on Training courses for AQUA system technicians. NGNY has held three new training sessions for technical assistance engineers. These courses, which are carried out at our facilities, explain the technical and operating principles of AQUA system. It learns to configure the database and the adjustable parameters. 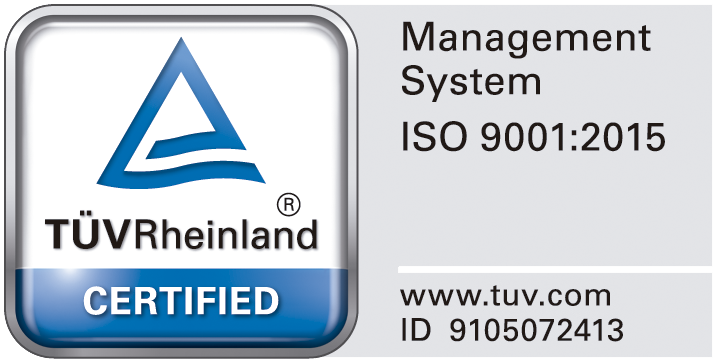 It also explains the preventive maintenance actions and troubleshooting management. 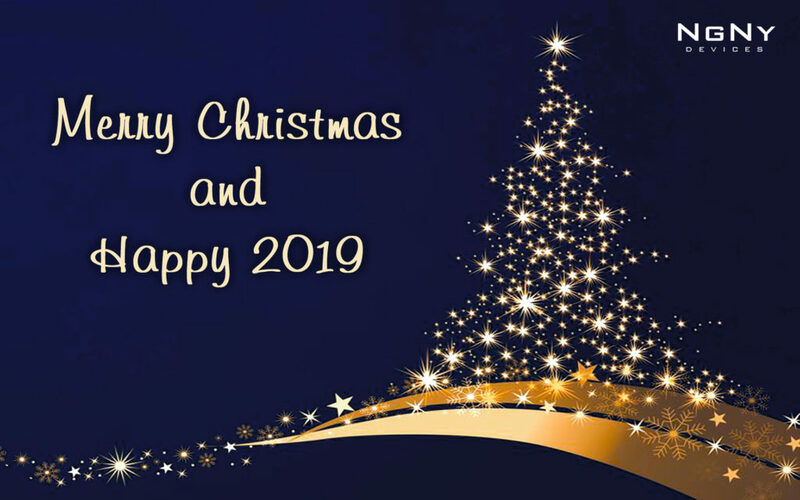 In our editions of February, April and May, we have assisted technical staff from all over the country: Murcia, Alicante, Barcelona, ​​Santander, Santiago, Malaga and Cordoba.